With apologies to Lord Tennyson, if spring is when a young man's fancy lightly turns to thoughts of love, summer is when his mind drifts to the road. The months between Memorial Day and Labor Day are road trip season; credit the warm weather, the lack of school, the relaxed vibes permeating the air. 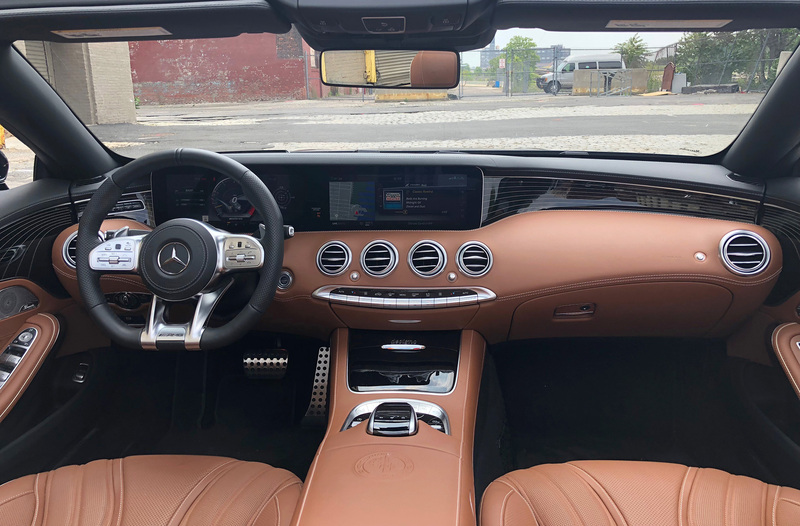 And while any just about car—new or old, big or small—can soak up the long miles, none of them do it better than the 2018 Mercedes-AMG S65 Cabriolet. There are other cars that fulfill this mission brief nearly as well, perhaps: You'd be hard-pressed to argue that a droptop Bentley Continental or a Porsche 911 convertible isn't a near-ideal companion for a long drive down fast highways and winding roads in the summertime sunshine. But there's just something about rolling down the road in a big Mercedes with 12 cylinders under the hood and the roof folded down behind the rear seats, music pumping through 24 Burmester speakers scattered across the cabin, that feels indescribably...right. And leaves you somehow completely okay with the quarter-million-dollar-plus price tag. Or, alternately, put it up and run the air conditioning like it's really, really hot. I spent quite a few miles trying to pin down the ideal adjective describing the S65's twin-turbocharged V-12, until it finally hit me like a thunderclap somewhere northeast of Albany: mighty. The power is effortless, almost relaxed; the fleet management employee who dropped it off at The Drive's office said it felt slow. That's largely a symptom of the throttle mapping in Comfort mode, where it starts out in second gear off the line for a smooth roll-out. But even with the metal AMG Dynamic Select switch flicked all the way up to Sport+ mode (there's no Race setting here, as there is on the likes of the E63 S or the AMG GT R), the 12-cylinder's power delivery never feels frantic or rushed. The S65 Cabriolet is the opposite of a hot-boi special; it doles out its horses and pound-feet with decorum, damn it. 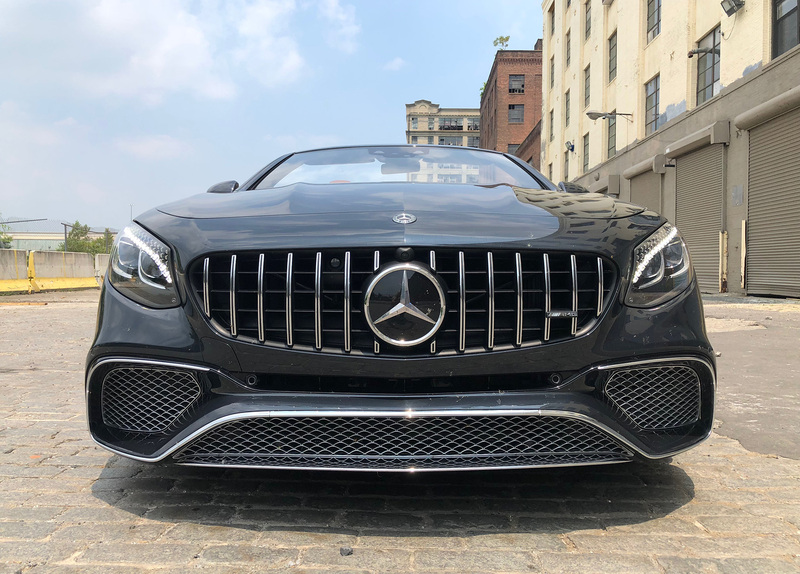 People are often quick to write off AMG's V-12 models; I can’t count the number of times I’ve heard fellow journalists say they don’t understand them, that they’d rather have the V-8s. In theory and on paper, that view holds water; the S63 makes nearly as many horses, a still-prodigious 664 pound-feet of torque, and has two extra gears and twice as many drive wheels to help make the most of all that power. But the V-12s aren’t about common sense. It’s another way of achieving the same end result, fluid aikido to the 63-models’ brutal karate. 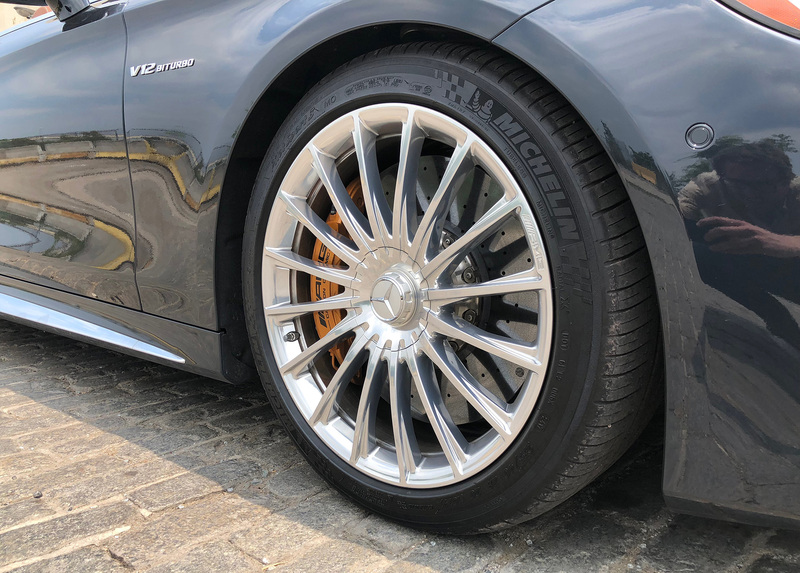 AMG's 65s are about the subtle intersection of luxury and performance, made for those who demand nothing but the best. 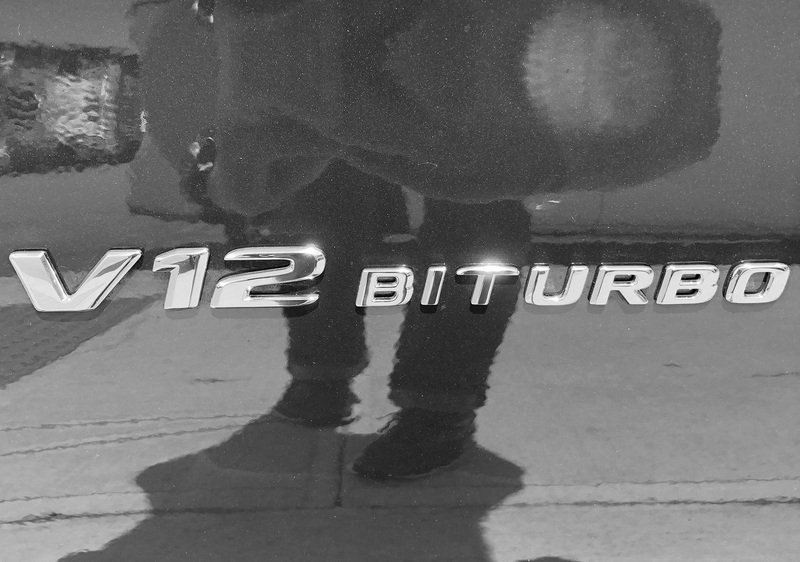 The V-12 feels powerful in a way few cars do in this era where nearly every luxury brand is trading displacement for turbines and impellers. There’s no explosive burst of power as the turbos kick in. (That’s become such a signature of powerful cars these days, it’s easy to assume anything that doesn’t leap forward like the Millennium Falcon jumping to hyperspace is slow.) Instead, it’s smooth, seamless, and seemingly hydraulic. But don’t let that fool you into thinking it’s wimpy. Loafing along behind a pair of vehicles doing the Vermont state speed limit of 50 miles per hour on a Valhalla of a country road, I nudged the S65 across the dashed yellow on a straightaway and pushed the gas—you don’t hammer the throttle on an S65, you massage it, respectfully but forcefully—to the floor. No violent shove, no kick in the chest—but by the time I glanced down at the speedometer after passing the second car, it read 111 miles per hour. This car makes fast feel slow. But it’s also happy to cruise along lazily in a way you wouldn’t expect from a car with this kind of energy under the hood. Some high-horsepower cars only seem happy ripping along at license-shredding speed, but the S65 is more than happy to toodle along at the speed limit in Comfort mode, almost as though reciting John Travolta’s sole memorable line from the Get Shorty sequel Be Cool: If you’re important, people will wait. And with an interior like this, why would you want to rush any trip? I climbed out after a six-hour drive nearly feeling better than when I climbed in. Building a two-door car out of a platform this size means all but the largest humans have room to spread out and get comfy; even Andre the Giant wouldn't feel cramped in an S-Class cabrio with the top down. Every surface your fingers brush against is a tactile treat, and the two-tone, dark-chocolate-over-milk-chocolate designo leather draped over the interior of my tester is sumptous enough to make a career vegan reconsider their lifestyle choices. And the seats, as Matt Farah once pointed out, are among the most comfortable in the automotive world—and versatile, with adjustment and no fewer than six back rub programs, including a pair of ones that use the seat heaters to approximate a hot-stone massage. The ventilated seats's cool-air blowers are too wimpy, though—they certainly weren’t up to the challenge of a hot summer day in Vermont, so God knows how they’d hold up in Miami or Los Angeles. The S65 comes, like any high-end Mercedes nowadays, with an array of sensors that could make a Ticonderoga-class missile cruiser jealous: sonar, high-def cameras, night vision, and multiple types of radar, just to name a few. Its Drive Pilot suite of advanced semi-autonomous driving systems, the likes of which our own Alex Roy has addressed in the past, can take some of the burden out of driving should you so choose—but to lean on those electronics instead of taking command for yourself would be to deprive yourself of the reason for dropping $250,000-plus on this instead of an S550 and two years of salary for a chauffeur. Driving this V-12-powered convertible isn’t a chore; it’s a treat. Whether it’s 20 minutes of cruising down to the ice cream shop and back or a few weeks criss-crossing a continent, the S-Class cabrio exists to make the journey as blissful and stress-free as possible. If you want to add some excitement in by pushing the chassis to its limits and risking a speeding ticket the size of the Swiss GDP, hey, that's on you. And while most people who buy this car will no doubt be adding it to an already-sizable garage packed with—I joked during my loan that it was an eighth-day-of-the-week vehicle—the two-door S-Class could easily fill the role of a daily driver should someone be so inclined. As though the universe were out to prove that point, on the first day I drove the S65 home, I stopped by Whole Foods—only to find a Porsche 911 Turbo S parked in the lot. "Untitled Stuttgart Buddy Cop Movie"
Oh, and should anyone be interested: Even with all those cylinders pumping and turbos whooshing, I saw close to 19 miles per gallon over 600-plus miles of highway driving. Granted, the EPA still says an S65 Cabrio buyer will spend about $1,250 more per year on gas than they would with the average new car...but somehow, I doubt those buyers will care. For the wealthy elite who want their Maybach with more power and much less roof.